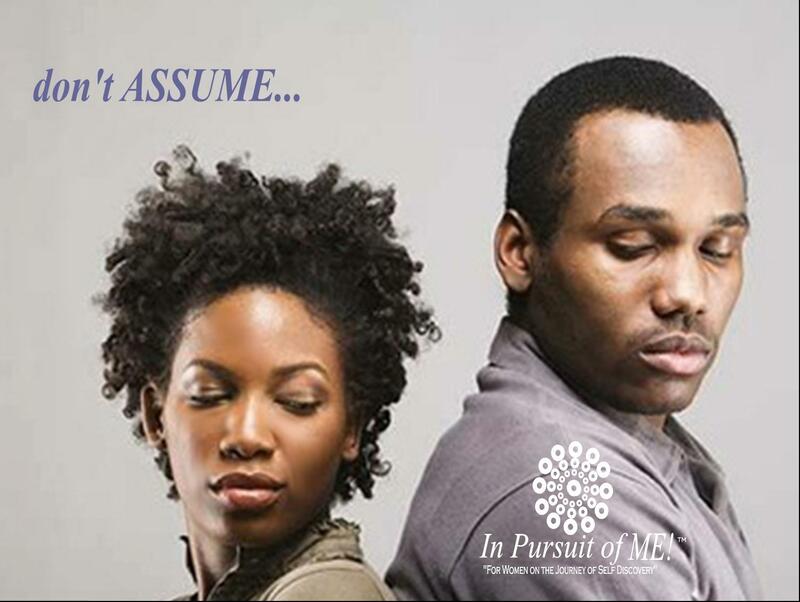 Don’t ASSUME. ASSUMPTION is just like GAMBLING. You are GUESSING about what COULD happen, what you “think” someone did, or why you “think” someone did something. You have NO real PROOF of its VALIDITY. You base it on Gossip, PAST information and you are making a DECISION about a CURRENT issue on INVALIDATED KNOWLEDGE. That can be DANGEROUS! This entry was posted in Uncategorized and tagged assumption, guessing, knowledge, ledge, proof by womanstandard. Bookmark the permalink.